Erica Mackie, P.E., Co-Founder and Chief Executive Officer, GRID Alternatives. Choose one of three presented below. Municipal utilities and rural electric cooperatives were exempted from the provisions of the Future Energy Jobs Act. What does this mean for distributed generation facilities, community solar, or utility-scale solar projects? 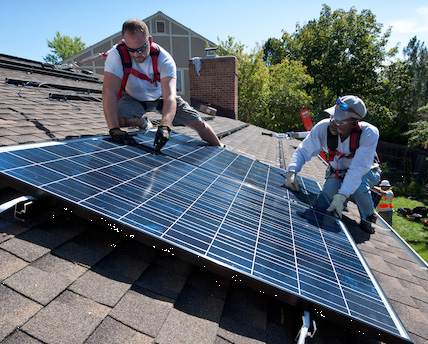 What can consumers or solar developers do to encourage projects outside Ameren and ComEd Territory? Aur Beck, Member, Illinois Solar Energy Association and Founder and Chief Technician, Advanced Energy Solutions Group, Inc.
CAN'T MAKE IT ON JULY 26TH? Then join us for an identical program at John A. Logan College the afternoon of July 25!